Planning for World Heritage Sites – dovetail or disconnect? MORNING SESSION – HOW DO THE UK’s PLANNING SYSTEMS WORK? can policies be totally prescriptive? who advises the World Heritage Committee? how is the decision for Reactive Monitoring made? what is the process of Reactive Monitoring? The aim of the afternoon session is to identify what is going well and what needs to be improved and is everyone’s opportunity to have their say. It will be split into two parts, first looking at national issues and then local government issues, and to hear about some specific examples. are the overall planning systems fit for purpose in relation to World Heritage? is anyone monitoring the effectiveness of the planning systems? are national policies sufficiently robust? are World Heritage Sites sufficiently valued? how can state reporting and the Reactive monitoring process be improved? are local policies sufficiently robust? I am very pleased to announce that the Durham Castle and Cathedral World Heritage Site Management Plan draft version is now live for public consultation (22nd February to 18th April 2016). This is a very important part of the process of ensuring that our new plan is relevant and useful – your comments are important to us. Please click on this link, https://www.durhamworldheritagesite.com/management-plan which will take you to our home page where you can find out all about the different ways you can comment on and contribute to the plan. 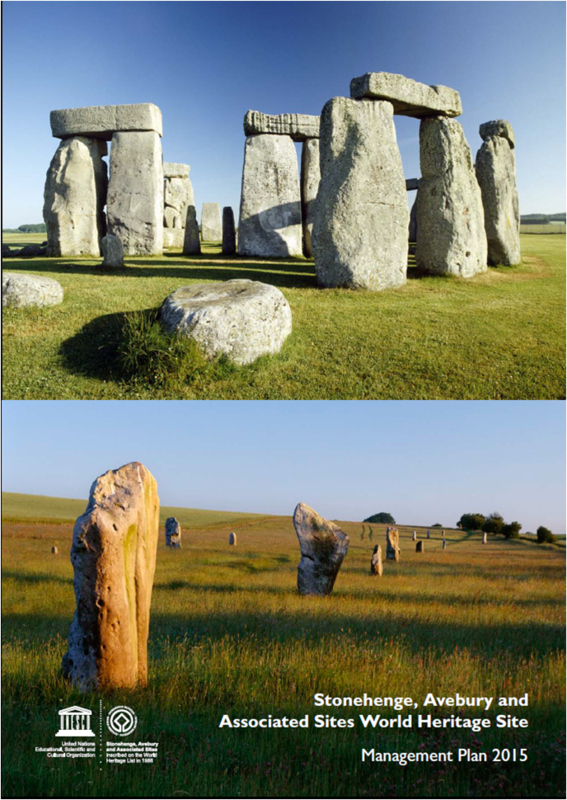 The Avebury World Heritage Site Steering Committee and the Stonehenge World Heritage Site Committee are delighted to announce the launch of the first joint Stonehenge, Avebury and Associated Sites World Heritage Site (WHS) Management Plan. Throughout the development of the Plan there have been opportunities for the local community to participate at drop in consultation sessions, at stakeholder workshops and on-line during the 12 week public consultation. The Management Plan is a framework for the many partners who help to manage the World Heritage Site including Wiltshire Council, The National Trust, English Heritage, Historic England, North Wessex Downs AONB, MoD, local parish and town councils and individual landowners and householders that make up the World Heritage Site. The Plan covers a wide range of topics from planning policy, conservation and roads and transport to tourism, interpretation, education and community engagement. The WHS Coordination Unit has worked hard over the past two years to produce a comprehensive document that sets out the issues facing the World Heritage Site and how we will approach these. The Unit has strengthened its relationships with its many partners during the development process and looks forward to working with them over the coming six years.